"Why should we hear about body bags and deaths and how many, what day it's going to happen, and how many this or what do you suppose? Oh, I mean, it's, not relevant. So why should I waste my beautiful mind on something like that?" The world lost a great leader who changed the course of history. On behalf of the citizens of Israel we mourn alongside the nations of the world and the people of South Africa, who lost an exceptional leader. Nelson Mandela was a fighter for human rights who left an indelible mark on the struggle against racism and discrimination. He was a passionate advocate for democracy, a respected mediator, a Nobel peace prize laureate and above all a builder of bridges of peace and dialogue who paid a heavy personal price for his struggle in the years he spent in prison and fighting for his people. Nelson Mandela's legacy for his people and for the world will forever remain engraved in the pages of history and the hearts of all those who were touched by him. He will be remembered forever. Conveniently, Peres decided to leave out any mention of Israel's close and abiding relationship with the Apartheid regime in South Africa, even when virtually all other nations on Earth had cut ties and joined the international boycott. The Israel-South Africa alliance was not one of mere convenience; rather, it was one based on shared values. "The Jews took Israel from the Arabs after the Arabs had lived there for a thousand years. Israel, like South Africa, is an apartheid state," South African Prime Minister Hendrik Verwoerd proudly declared back in 1961. 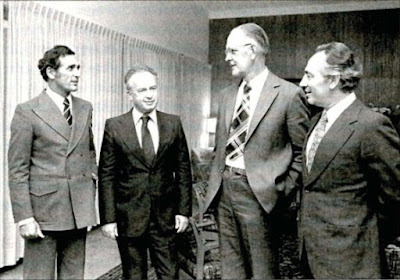 Fifteen years later, in April 1976, two months before the Soweto Uprising, South African Prime Minister (and known former Nazi sympathizer) John Vorster made an official state visit to Israel, where he was hosted by Israeli Prime Minster Yitzhak Rabin. A number of friendship pacts and bilateral economic, military and nuclear agreements were signed. At a banquet held in Vorster's honor, Rabin hailed "the ideals shared by Israel and South Africa: the hopes for justice and peaceful coexistence" and praised Vorster as a champion of freedom. Both Israel and South Africa, Rabin said, faced "foreign-inspired instability and recklessness." The groundwork for such close ties had been forged over the preceding couple of years by the defense ministers of Israel and South Africa. In November 1974, after visiting the leadership in Pretoria, the Israeli Defense Minister emphasized to the Knesset the "vitally important" economic, political and military ties between the Apartheid state in South Africa and the Zionist state in Israel, writing that "this cooperation is based not only on common interests and on the determination to resist equally our enemies, but also on the unshakeable foundations of our common hatred of injustice and our refusal to submit to it." That minister was none other than Shimon Peres. The following year, through "top secret" correspondence with his South African counterpart (and later Prime Minister) PW Botha, Peres offered to sell Israeli nuclear warheads to the Apartheid regime, while Mandela languished in a prison cell on Robben Island. A bilateral propaganda outfit named the "Joint Secretariate for Political and Psychological Warfare" was established between the two states in an effort to boost the public image of Apartheid. As late as 1987, Ha'aretz reported last year, "Israel was the only Western nation that upheld diplomatic ties with South Africa" and was one of the last countries to join the international boycott campaign. It is clear that Mandela's anti-Apartheid struggle, which - according to Peres - "changed the course of history," went wholly unsupported, and deliberately subverted, by Peres and the Israeli government. It is no surprise that many South African anti-Apartheid activists and religious leaders, including Archbishop Desmond Tutu and the late Nelson Mandela himself have consistently likened Israel to an Apartheid state, if not worse. In 2005, the Guardian's Chris McGreal asked Peres "about his close dealings with the old South African regime, including two periods as prime minister during the 1980s when Israel drew closest to the apartheid government. His response was to brush away history. 'I never think back. Since I cannot change the past, why should I deal with it?' he said." He doubled down on this concept, albeit in a vastly different context, just a few years ago. Speaking in Paris at a technology conference, Peres said that the internet made memory obsolete. "Why should we remember?," he wondered, "The past is not so brilliant. It's full of troubles, of wars. Not only that, why should we waste our intellectual energies to remember, when the internet or the computer can remember in your place? 'Buy Google and stop remembering!'" Stating that "the task of human beings nowadays is not to remember, but to imagine, to create, to discover," Peres urged his audience to "change our efforts from traditional memory to intellectual imagination." So, does Peres even believe his own words, that the past is past, reflection and remembrance are exercises in futility and only the future matters? No. At least not when it comes to history he can exploit for political gain. Peres has made a career of commemorating the victims of genocide in order to promote the narcissistic ideology of Zionism, justify the permanent oppression of indigenous Palestinians, fear-monger about exaggerated and non-existent external threats, and maintain continued Israeli hegemony in the Middle East. In 2002, Peres claimed that a failure to heed the lessons of history by not confronting Saddam Hussein would result in a repeat of Hitlerian aggression and genocide. He said effectively the same thing in 2008 about Iran. And again in 2012. Earlier this year, Peres made a similar analogy with Syria. Speaking from the Anne Frank Museum in Amsterdam, he said, "Your voice, Anne, is the voice that rings in our ears and will forever remind the Jewish people and the entire world of the victory of the sons of light over the sons of darkness." Peres travels the world giving speeches about the the importance of remembering tragic history and learning from the past, while also believing his own intimate role in the unspeakable discrimination, repression, and violence against blacks in South Africa should be expunged and ignored - "why should I deal with it?" - and any semblance of penance or retribution dismissed. In 2010, Peres delivered a speech at Yad Vashem for the on Holocaust Martyrs' and Heroes’ Remembrance Day. "Our dead will not come back to life; their memory lives within us. Our wounds will not heal; our strength will not ebb," he said, speaking of the Jewish community, and added, "We remain a people with memory, faith and determination." The same year, on the 65th anniversary of the liberation of Auschwitz, Peres spoke before the German parliament in Berlin. "The Holocaust raises painful questions that touch on the infinite depth of a man's soul," he declared, "The Holocaust must always be prominent in our minds and in the conscience of humanity, and serve as an unequivocal warning in perpetuity. As a binding decree to uphold the sanctity of life, equality among men, freedom and peace." Last year, Peres again insisted, "We will always remember our 6 million brothers who perished in the Holocaust," and this April reiterated, "The Holocaust will not sink into the dark hole of history. It is here with us, burning, real." "The history of the Holocaust is not just a lesson from the past, it is also a lesson for the future," Peres said. A week later, speaking at the Western Wall in Jerusalem on Israel's Memorial Day, he exclaimed, "We will not forget even for a moment and will always remember those to whom the survival of Israel and its glory are indebted." A few months after that, Peres traveled to Lithuania and gave another speech on the Holocaust. "We cannot change the past so we don't have to forget it," he said. "But we can change the future and that we should always remember." For Peres, there are clearly some people whose lives should be honored and memorialized, and some who deserve to be forgotten. The Jewish victims of the Nazi Holocaust and the Israeli soldiers who ethnically cleanse, colonize and occupy Palestine fall into the former group. African victims of Apartheid? Not so lucky. 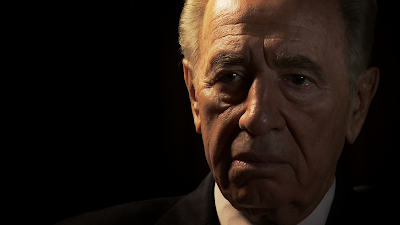 Why would Shimon Peres need to reconcile his deeds with their past? Why should he "deal with it"? It came as no surprise that neither Peres nor Israeli Prime Minister Benjamin Netanyahu decided to attend Mandela's memorial service. As architects and defenders of their own Apartheid state, the greeting Israeli leaders might have received in South Africa may have been a bit cold. So they made weak and transparent excuses for why they couldn't make the trip - Peres had the "flu," while Netanyahu was pinching pennies - and sent a Likud underling in their stead. No one was fooled as to why they bailed. In his 2012 speech at Yad Vashem, Peres said, "Holocaust deniers negate the deeds of their predecessors so as to cover their own crimes. The falsehood of negation will not extinguish the fire of the inferno." Ignoring his own past deeds to cover his own crimes, however, appears to be something Peres can deal with. Great piece - but the Mandela 'letter to Friedman' is a fake piece of satire written by Arjan El Fassed in 2001 in a style deliberately reminiscent of Thomas Friedman. At first I couldn't figure out why you'd written that comment since I studiously avoided using any reference to or quote from the El Fassed letter, which I know is often confused for an actual letter by Mandela. Then I realized I included a link to the letter (at a source that wasn't even the original) in the post above. Forgive the sloppiness on my part and thank you for pointing it out. It's been corrected.